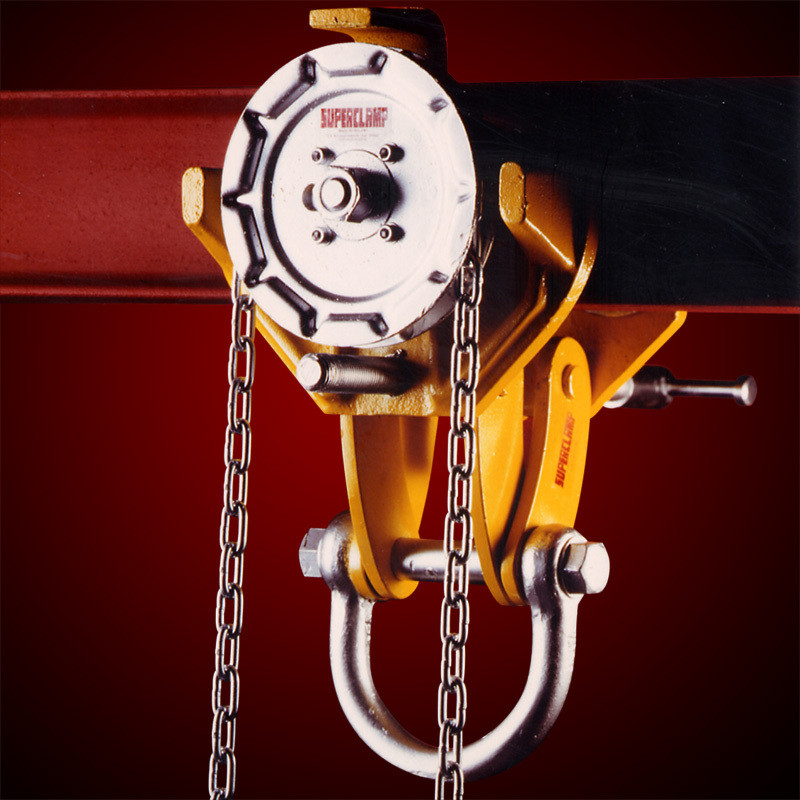 Incorporating Wheel guarding Anti-Drop Plates, Width Adjusting and Chain Wheel, Chain, and Lifting Shackle. SUPERCLAMP adjustable geared runway beam trolleys have taken requirements of the user into consideration. Designed and manufactured with wheel-guarding anti-drop plates, this product range assures ease of application in use, maximum safety and hold, and low maintenance requirements. 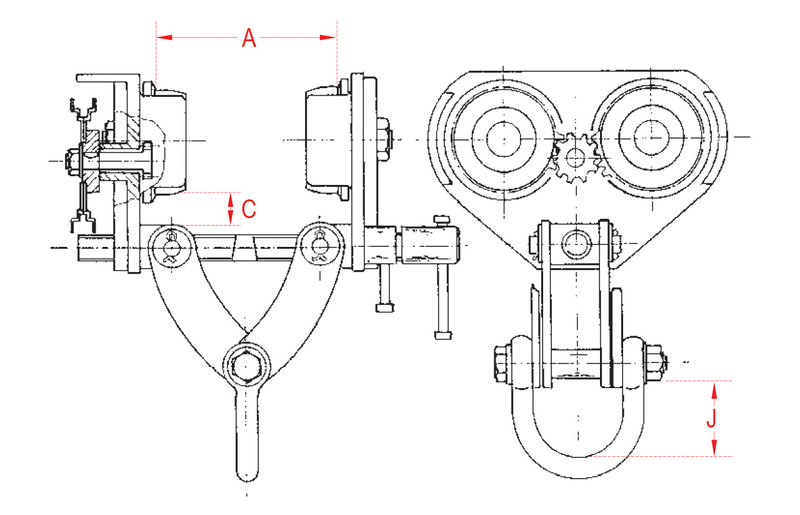 As with all SUPERCLAMP products, the quality is of the highest standard to comply with user requirements. Standard 3 metre (10 ft) drop of chain supplied, extra lengths upon request.